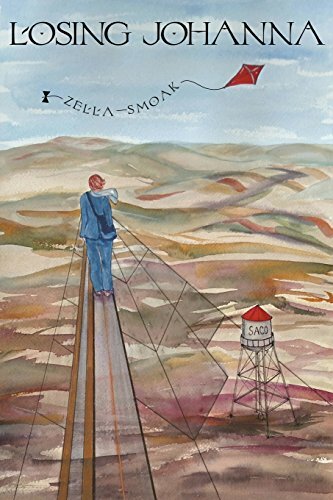 In “Losing Johanna” by Zella Smoak, attorney Johanna Moss is compelled to give up a successful law practice in California and move back to the home she grew up in, which is in a small town in Montana. She continues to practice law after she makes the move; however, it isn’t long before she starts noticing that she is becoming forgetful. Her long-term memory seems fine, but her short-term memory is declining. This scares her, so she reaches out to her boyfriend Griff. Griff is by her side as she receives a diagnosis of Alzheimer’s Dementia. This is a terrifying diagnosis, and she soon lets her daughter Sophie know what is going on. While Sophie is currently successful, she has a troubled past involving addiction. She also carries a lot of unresolved issues with her mother because she left Sophie’s father when Sophie was a teen. Despite this, Griff and Sophie form a team to help Johanna through the next stages of the disease. Johanna soon must let go of her career and she signs conservatorship over to Griff, while she is capable of understanding what she is doing. She also demonstrates a lapse in judgment when she adopts an emotionally abused lab. This lapse ends up being one of the best things that she could have done because he becomes her guardian angel by helping rescue her from situations where she puts herself in danger. Their healing love for each other radiates through the pages. Sophie takes time off from work to stay with Johanna in the home where Johanna has her fondest memories. Sophie is able to relive much of Johanna’s childhood through her vividly described stories. However, Johanna soon starts confusing the past with the present. The stress from the changes takes its toll on Sophie. Sophie and Griff need redefine their roles to keep Johanna safe. Her decline represents a huge loss to all of them. Through it all Griff, Sophie, and Ed the lab, stay committed in their dedication to Johanna. “Losing Johanna” is a beautiful story about a horrible disease. Each character in the story grows through their experience of helping Johanna maintain a good quality of life, while also having to deal with her losses. This book is so well written, the author makes you feel like you are actually in Johanna’s mind as she experiences the memories from her past, both good and bad, and as she suffers from the decline of the disease. The author’s experience as a nurse who has dealt with Alzheimer’s patients really shows. For myself, I gained a greater understanding of why people with dementia might act the way that they do. This was especially apparent when it became clear why Johanna no longer wanted to shower. “Losing Johanna” by Zella Smoak is a poignant, heartwarming novel. It also strikes a chord of fear in my heart, because it makes me think, “What if this happens to me?” I suspect other readers will feel the same way. I highly recommend reading this book!